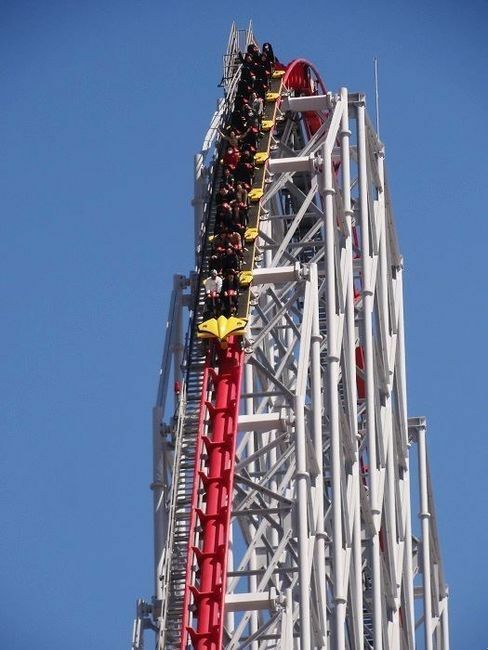 The 318ft tall Morgan Giga Coaster, which opened in 2000 as the tallest coaster in the world and remains the tallest roller coaster with a conventional chain lift, has received smart new trains manufactured by B&M! The trains have 2 across seating and feature B&M's signature clam-shell style restraints used on their own Mega Coasters, as well as leg restraints and seatbelts. Oh Wow! They look good! Why would they suddenly choose to do this though? The old trains seemed to be going ok on their own. Prehaps the old coaster have just aged badly, and they wanted to give it some upgrade, and it's always nice to see that a park cares about one of it's older rollercoasters and wants to give it some new blood. But I think it may look a bit weird without the four abreast seats, but then as this will be the first B&M trains on a non B&M coaster I reckon it will look a bit werid anyway. It also definatly shows the company is going out of their comfort zone. It does look weird at the minute but that photo is just a quick photoshop taking the outer seats off. The real thing should have a narrower front end. This is actually really good for Steel Dragon, I actually think this is a good move from the Nagashima Spa Land theme park. I also agree that even though it may look werid, it is definatly a good move for the Nagashima Spa Land, and it will be a very comfy rollercoaster, even if it is still rough. Cool! Looks so much sleeker than the old ones. In theory, these should be smoother as B&M trains are acticulated while the old ones aren't. In theory, these new B&M Steel Dragon 2000 trains should be smoother, but we have never seen a B&M coaster train work on non B&M track. Personally I think because of the track the coaster could still be rough, but only time will tell, which will most likely be when we see an onride POV with the new trains. That is true, Simba. I still reckon it will be smoother, even if it isn't as smooth as a usual B&M. 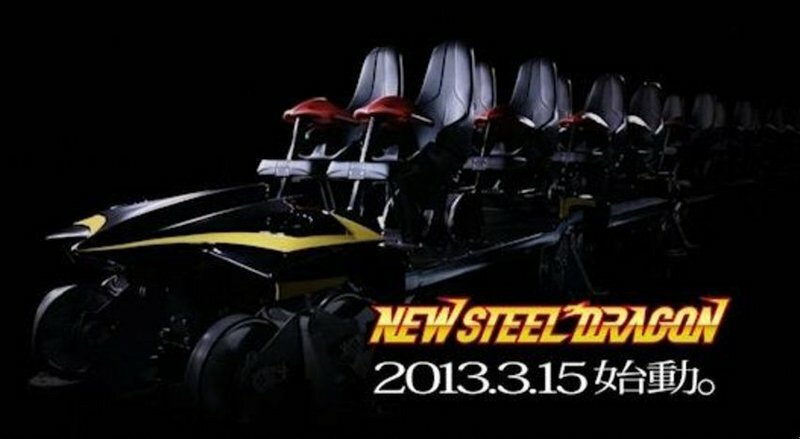 Apparently these new trains are already on Steel Dragon 2000, and they look absolutely brilliant. I wonder if B&M will do more of these coaster trains for other non B&M coasters, just imagine Colossus with B&M Trains!